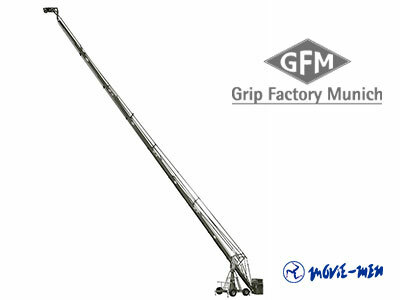 The GF-16 Crane supersedes the GF-14 and is the ultimate in “big” modular, rideable and remote crane systems. It is designed and engineered incorporating the latest technology and is the result of many years experience in the crane business . The result is a state of the art crane system which addresses the demands of the crane operator when it comes to safety, transport, ease of assembly and in-shot stability but also gives the DP an amazing range of choice to create that dream shot. As with all GFM products, the GF-16 components are treated with a patented, surface hardening process (Hart Coat ®) resulting in a scratch proof and non-flake finish. This process increases the equipments durability and lifespan giving it that “new look” even after intensive use on set. Thrashed looking gear and touch up paint jobs are things of the past. Combined with a modern aerodynamic design and the high grade pan & tilt bearing systems, the GF-16 allows for unmatched ease of movement and remains steady at all times. With the GF-16, all respective rigging and parallelogram rods are identical, further improving and providing a logical and easy to understand assembly procedure. 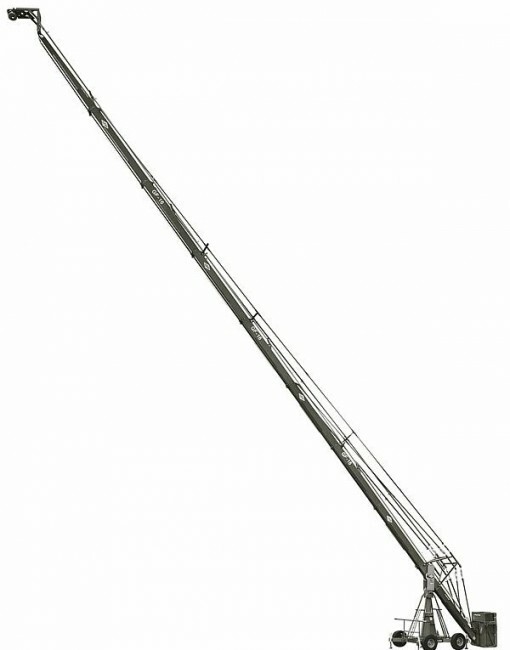 As confirmation of GFM’s high manufacturing and safety standards, the TÜV Süddeutschland have safety type tested and approved the GF-8 Crane System according to European guidelines for the scope of application under EC directives especially EC directive 98 / 37 / EC. This certification is based on state-of-the-art-technology.